If you think there isn’t much culture in Wilmington, you haven’t been out in our fair city on a Friday or Saturday recently. Even when the worst weather hits, artists, musicians and actors are doing their “thing” and doing it well. Such was the case when City Theater Company (CTC) held its 2nd annual fundraiser, PROM NIGHT, last Saturday at the Delaware Center for Contemporary Arts. Sheets of heavy rain pelted the streets and a flood advisory was in effect in New Castle County. But it didn’t wash away the enthusiasm of the die-hard CTC fans and performers in attendance. I became acquainted with CTC last summer when I attended several Delaware Humanities Forum-sponsored book events. This local repertory company maintains a steady diet of offbeat performances---original works as well as standard plays and musicals---as the appropriately titled “Delaware’s Off-Broadway”. The actors are also trying their hand at improvisation. Sometimes known as “theater games”, improvisation is an art form in its own right. Actors Kerry Kristine McElrone, Georgie Staley, Emily Davis, Kevin Regan, George Tietze, Jim Burns and Todd Holtsberry entertained the crowd with silly scenes they created on the spot. One of my favorites was a moment outside a high school principal’s office: For each new “student” that arrived, the ones already there were required to adopt the attitude of the newcomer. When serial-killer/cheerleader McElrone arrived, the other actors erupted into a chorus of “Oh My God’s!” and “finger”-waves. Davis’ nerdy attitude was terribly contagious after she spoke only a few words. Also amusing were Tietze, Burns and McElrone as they told a story in one-word increments in an Irish accent as “Professor Know-It-All”. Look for more off-kilter fun from CTC in their December production of Sweeney Todd, the Demon Barber of Fleet Street. The Delaware Center for Contemporary Arts, with its quirky installations, is the perfect setting for an event like CTC’s PROM NIGHT. In the exhibit Kinetic, Dennis Beach’s Flow is a large acrylic pipe filled with swooshing water that surrounds the room. Lily Gottlieb-McHale’s sculptures with moving pieces and wires create eerie mechanical music in the room. Center stage is Billie Grace Lynn’s Mad Cow Motorcycle made from a cow’s skeleton and bike parts. What are you waiting for? It’s FREE!! This year, the Newark Symphony Orchestra is test-driving some conductors to find a new Music Director. Nicole Aldrich took the baton yesterday, conducting the Bacchanale from Camille Saint-Saens’ opera Samson et Dalila. I was delighted to see former Music Director Roman Pawlowski in the percussion section - not just because he knows how to keep the beat – but also because he can enjoy the fruits of his labors as he experiences the impressive sound of the orchestra he worked so hard to develop. Kathleen Hastings, violin and Cheryl Everill, cello were soloists in the Double Concerto for violin and cello by Johannes Brahms. Their smooth ensemble and the chiaroscuro contrast between soloists and orchestra was a pleasure to hear. The Symphonic Dances, Opus 45 by Sergei Rachmaninov gave both the string section and the woodwinds/brass a chance to shine. Laura Grass’ trumpet and Anna Montejo’s English horn playing were highlights, as was Serban Petrescu’s violin solo. It is time we started paying attention to this very well-established orchestra. The next concert dates are December 13, 2009, March 7, 2010 and May 16, 2010. Each concert will have a finalist conducting with the last two featuring the Youth Concerto Competition Winners. I hadn’t been in Middletown’s Everett Theater since it had been remodeled last year. Several years ago, some parents at MOT Charter arranged for our Acting Club to use the theater for our home-grown musical. The students were loved to performing there, but parents knew not to sit under the balcony because of the ceiling’s instability. Three years later, a portion of the ceiling did indeed collapse in the empty theater hours after a performance. Associated Community Talents, Inc. (ACT), owners of theater since 1983, mobilized the community and town to repair and refurbish it. ACT’s production of Evita on 10/18 was well done. A cast member had invited me to the show, and I was thrilled to discover a few of the other young people in the ensemble were former students of mine. Tracy Friswell-Jacobs’ crisp choreography was dynamic and carried out nicely by the cast members. Andrew Lloyd Webber’s musical has its highs and lows. Sometimes, Tim Rice’s lyrics leave the actors stranded in a sea of mediocrity: “I could find job satisfaction in Paraguay”, sings the talented Eric Bayne as Juan Peron. Other times the work is highly successful, with a musical theme signifying ambition and hunger for power weaving in and out of the drama. Evita is blatantly operatic: It opens with Eva Peron’s corpse lovingly caressed in a casket, surrounded by mourning citizens. From there, we observe her desperate climb from actress to First Lady. Adrienne Blair, who shared the part with Friswell-Jacobs, was sympathetic and tragic in the role of Eva. Eva’s thirst for power is palpable in A New Argentina, and her suffering and sense of loss in Lament is wrenching. Producer Peter Briccotto was captivating as Che: ever present, always offering another almost point of view, which often broke the third wall. I look forward to seeing more off ACT’s productions and am so relieved they have mobilized residents and artists to save a historical landmark in a town where so many treasures have been torn down. As I listened to Jessica Graae’s elegant and powerful voice at the Methodist Country House on October 23, I wondered how she, like many artists in Delaware, manage to go through a full seven hours in the ‘day job’, rush home to dress up and race to rehearsal. Facing the audience in the Danby Chapel, Jessica beamed a hundred-watt smile which told the audience this was the moment of the day for which she lived – her art. Her voice has a wide range and she soared through Handel and Mozart. She then switched to a selection of introspective poems set to music by Johannes Brahms, showing her ability to interpret in a totally different style. A quick and vamping romp through Carousel selections had the audience humming. The man next to me, Joe Ferrare, was delighted with the versatility and the variety of selections. Jessica then picked up her guitar and accompanied herself on some quiet Spanish love songs, leaving plaintive minor echoes in our heads as we set out in the dull, dark rain of an October night. When not singing, giving voice lessons, or working her full-time office job, Jessica also writes for the Community News and for this blog, She is a soloist at Trinity Episcopal Church and will sing in the Schubert Mass in C, Opus 48 on Sunday, November 1 at 10:30 a.m. She will also sing Tiny Tim in A Gilbert and Sullivan Christmas Carol and Dell in Gift of the Magi at Unitarian Universalist Church in Media PA on December 4,5, 6 and at the Arden Gild Hall on December 18 and 19. Just a quick note: One thing I love most about our state is that we're small but mighty. And when we "inspired folks" put our energy into our passions, great things happen. There's much to be excited about in Arts & Entertainment here, and we're making great strides to spread the good word...along with our blogspace, we've got some very cool pals that are doing a damn good job of helping get the word out about artists, the Arts, nightlife, happenings and just all-around fun stuff that goes on throughout the state. In the spirit of collaboration and a gesture of thanks to all who put the time in and care enough to do it, here's a list of "partner" blogs. Please support their (and our) efforts to keep you "in the know"! Rock on, fellow bloggers! Support the Arts and the blogs that love them! Violinist Jennifer Koh wowed the audience at Wilmington’s Grand Opera House this past weekend with her performance of Samuel Barber’s Concerto for Violin and Orchestra Opus 14. To watch her play was to watch an intimate, elegant dance; each sound flowed from her caress of the instrument and was accompanied by an expression of deep emotion in her face. The first movement of the piece was trademark Barber: heartfelt and full of yearning. The last movement, Presto in moto perpetuo, gave Koh an opportunity to show her “spark”. Her virtuosic playing was splendid and brought the audience to its feet. David Amado, Artistic Director and Conductor of the Delaware Symphony Orchestra, is a seasoned concert programmer as well as a dynamic leader. During the pre-concert lecture sponsored by the Delaware Humanities Forum, Amado discussed presenting works that may be challenging, yet still accessible for his audiences. Amazingly, the Ives’ Three Places in New England was receiving its DSO debut. This piece, written in 1935, still sounds so fresh to my ears. Ives embraced the sights and sounds around him, weaving them into three quirky, very different movements. Amado encouraged us to laugh during the second movement, which was a comical imitation of a small town marching band. The theme of “place” was ever-present throughout the evening. Entitled “Dreams of Rivers”, the program gave odes to the Housatonic and Rhine rivers. Mark Mobley, DSO Director of Community Engagement, discussed with Amado his identification with composers and their homes. Amado noted that he placed little importance in composers’ physical roots. A powerful statement, reminding me that music transcends locale; it’s mostly about touching the heart and soul. 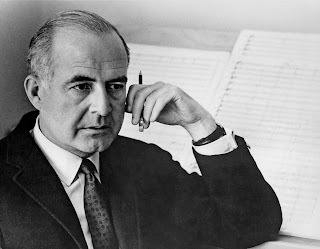 Composer Samuel Barber's hometown of West Chester, Pa., intends to present a concert of his music every month through 2010. His 100th birthday is in March. Programs will be held at Chester County Historical Society, West Chester University and the First Presbyterian Church of West Chester. The schedule from January to May is already available at http://www.chestercohistorical.org/. Barber left lots to choose from -- particularly art songs and chamber music, as well as orchestral work and several operas. His famous Adagio for Strings is, as his biographer Barbara Heyman put it, the tip of the iceberg. The Barber family home is on Church Street, though Sam spent his adult life in New York and Europe. He was the son of a local doctor, and was the second student to enroll in the Curtis Institute of Music. His baritone voice was good enough that he studied singing as well, which accounts for his prolific vocal literature. His maternal aunt, Louise Homer, was an acclaimed operatic contralto and sang Barber's songs in recitals while he was still a teenager. He also played the organ at First Presbyterian. The Copeland Quartet gave a moving account of String Quartet No. 2 in A Minor, Opus 13 by Felix Mendelssohn. In the fugal section of the second movement, the voices entered with just the right dynamic and articulation. Eliezer Gutman’s control of the high notes over the pizzicato in the Allegro di molto made the melody soar through the church. When the final fugue of the fourth movement wound down and the quartet ended, the audience was hushed for a brief moment before they burst into applause. 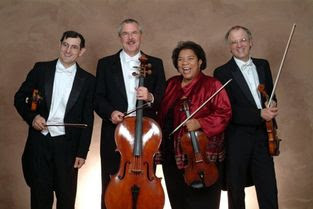 The Haydn String Quartet No. 62 in C Major, opus 76, No. 3, the Kaiser, the other piece on their program, proved their prowess. The Allegro, which has a sudden dive into a Scottish bagpipe drone by viola and cello, showed their ability to smoothly transition back to the original theme. The Poco Adagio, Cantabile requires each player to play the tune we now know as the German national anthem, which Haydn wrote for Kaiser Franz Josef of Austria. The cascade of themes and harmonic decoration of the variations was thrilling. And the culmination was the ensemble of the accelerando in the last movement. The Copeland Quartet has a new web site and they have also recorded a new CD which should be out by early next year. Our first Fringe Wilmington was, in many ways, a real success: we attracted some fabulous artists and performers to the area, and we showcased some of our local stars. 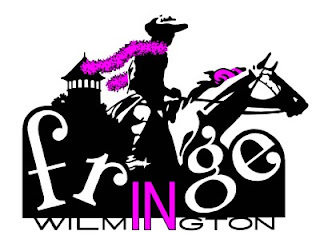 A four-day event, running from October 1-4, the Fringe took advantage of some of Wilmington’s most exciting and also underused spaces. 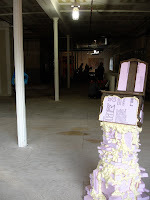 The New Wilmington Art Association, which occupies abandoned or empty venues, made an appearance in a warehouse on Market Street. City Theater Company, Writing Man Productions and others found themselves in OperaDelaware’s intimate black box theater. It was thrilling to see the arts spilling out everywhere! Among the offerings were performances by a Brazilian Capoeira troupe, a poetic monologue on the closing of Newark’s Chrysler plant, a comedian’s riotous account of self-rediscovery, presentations of two Word Premier operas, a concert of Indian classical dance and music and several original dramatic productions. Perhaps we were too ambitious on our first attempt at a Fringe? Though it was well-publicized, attendance at the festival wasn’t quite what we had hoped it would be. Michael Dutka’s opera Black Horses and The Stronger were commissioned by OperaDelaware, and performed at Saints Andrew and Matthew Episcopal Church. A winning array of singers handled Dutka’s daunting scores with ease. In Black Horses, soprano Elizabeth Zell sang beautifully and clearly the libretto adapted from Luigi Pirandello’s short story. Tenor Jeffrey Halili sang with a warm tone and possessed a natural comic talent. Alexis Cregger, in her operatic monologue in August Strindberg’s oddball play, was a pure pleasure to watch and hear. Her glorious soprano and prodigious musical talent are sure to lead her far. Martha Koeneman played Dutka’s beautiful, yet difficult music with ease, grace and musicality. Usiloquy Dance designs brought their colorful exotic presentation to the baby grand at the Grand Opera House, The Bharatanatyam dance is a lyrical, poetic classical Indian art form that is thousands of years old. The dances are performed to original compositions, with costumes created by troupe member and costume maker Michelle Yeager. As an extra treat, Maitrayee Patel and Surya Nakella performed several songs in the Indian classical style. Their selections included compositions in Raag Bheempalasi. The duo performed their intertwining, often imitative melodies to the backdrop of a steady synthesizer beat. If I had to pick a favorite performance, it would be Robin Gelfenbien’s My Salvation Has a First Name: A Wienermobile Journey. Not only was Robin hysterical with her physical comedy, her riotous imitations of her frat-boy Wienermobile partner and doting aunt, she was also touching with her poignant tale self-rediscovery. She carried this solo show beautifully with her observational talent. Raindrops do not discourage Terry Foreman of the Newark Arts Alliance and the vendors who gathered on the Academy Building Lawn. Most of the exhibitors had tents, but illustrators Destinie Carbone (www.destiniecarbone.com) and Patrick Waugh (patrickwaugh.com) sat bravely in the rain, using their clear plastic to cover their wares. I went on my bike because there is no place to park in Newark when UD is in session, and, besides, you had to get wet to see how the vendors felt. The Priapi Gardens and The Farm Stuff had arranged chrysanthemums and purple peppers and beautiful blooming cabbage plants into edible works of art. Near them, Richard Aldorasi had set up a marbling station where he was able to guide people through a marbling of scarves. Quite a crowd enjoyed watching the process and Foreman reported on Sunday that he had a lot of scarfmakers. With ten excellent jewelry vendors, it was quite a selection: Kate (http://www.katerobbins.info) and Andrea (andreaswhimsies.etsy.com) shared a booth where I saw a pale green stone called aventurine, a variety of microcrystalline quartz. Karen Hornor (Hidden Moon at beadit@comcast.net) has a special flexible jewelry she makes with neoprene and aluminum. Robanne Palmer (www.robannesbeads.com) has many glass drop earrings which you can also see at the NAA. I bought cards from artist Karin Lang who had made several of her watercolors into cards and had cards with translucent covers that look like stained glass. MaryJane Tyrie (Studio 960) was less worried about the rain damaging her fused glass than the others and the picture above is a lovely fused glass dish which was collecting rainwater – making the goldfish seem to be swimming. Good attendance and good cheer seemed to make the skies clear – rewarding support of local artists. Kimberly is a member of the CCAC Board of Directors, a freelance writer and communications consultant. She also volunteers her marketing expertise in support of Junior Achievement of Delaware. 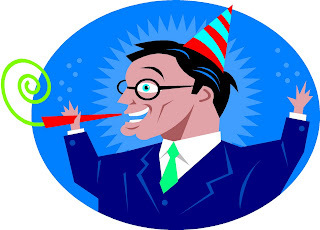 Most love the aura of celebration and celebrity that the Grammys, Oscars and Golden Globes exude. If you crave the same “atmosphere” within your own backyard, for a more reasonable ticket price, the 2009 Christi Awards offers it! On October 22 at 6:30 pm, Christina Cultural Arts Center (CCAC) will present its biannual(?) Christi Awards at the baby grand at The Grand Opera House, 818 N. Market Street, in Wilmington. The Honorary Co-Chairs are The Honorable Governor Jack Markell & Mrs. Carla Markell, Mr. William Allen & Dr. Kim Allen, and Mr. & Mrs. Ed. Loper. Co-Hosts for the evening are Lauren Wilson of Channel 6 Action News and Michelle Schiavoni of Christiana Care Health System. For seventeen years, CCAC’s Christi Awards has simultaneously honored its recipients and raised awareness for the institution. As the four elements – wind, fire, water and earth are necessary for the world to exist, the four elements of the Arts – inspiration, passion, hope and knowledge – are necessary for a community to thrive with the Arts. A reception with student and faculty performances, light fare and drinks will be held at CCAC, 705 N. Market Street, immediately following the awards program. Tickets are $60 or $50 for 2 or more. Purchase by calling The Grand Box Office at 302.652.5577. Wednesday evening saw the opening, concurrent with the Fringe Wilmington Festival, of the NWAA (New Wilmington Art Association) show at a newly renovated, but still unfinished space at 312 Market Street. Association leader Michael Kalmbach informed me that this is still not the location where the organization hopes to permanently settle, an address one block south. The roof is still leaking there, but a contract has been signed for repair. #312 is a large space with art spread out all over, and there is even a corner, sheltered by a curtain, with an overtly sexual sculptural piece. And if you go, don’t miss the basement, where there is both whimsy and the serious, and where you can pick up an application for the services of “The National Identity Renunciation Bureau.” The art on display has lots of variety, some work highly crafted and some raw but all with fascinating complexity. Fringe Wilmington continues through October 4 and the gallery is open Thursday and Friday 6-9, Saturday 1-9, and Sunday 12-4.